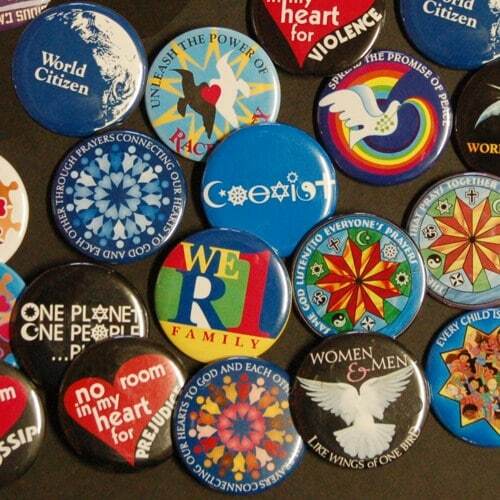 This is an assortment of our buttons that DO NOT say Baha’i. This is an assortment of our buttons that DO NOT say Baha’i. That is about 3/4 of our buttons and most of our designs (most Baha’i designs also come without Baha’i). 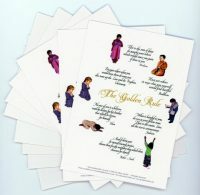 This is a great assortment for giving out at public events. By letting us pick from what we have in stock, you will save 10% over the same number of an individual button, and 28% over buying five sets of ten.